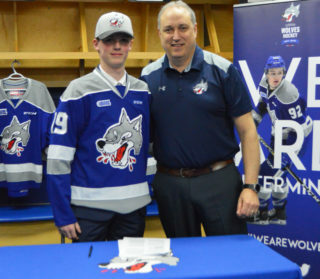 The Sudbury Wolves proved they have the bigger bite Sunday afternoon when the Niagara IceDogs stepped onto Wolf territory. The Wolves had seven different goal scorers that fought hard to earn a massive 7-3 victory over their Central Division rivals. 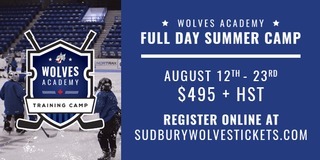 Wolves goal scorers include Adam Ruzicka, Blake Murray, Ryan O’Bonsawin, David Levin, Quinton Byfield, Liam Ross, and Shane Bulitka. 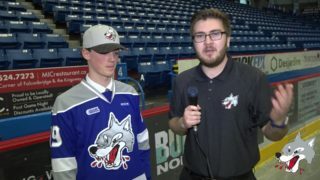 Wolves newcomer Anthony DeMeo earned first star while Drake Pilon and Liam Ross took second and third stars of the game. 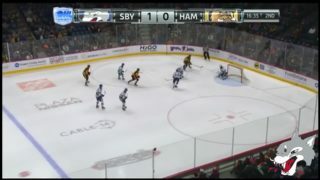 Final shots on goal were 30-29 in favour of Sudbury. Adam Ruzicka had a big weekend with his new team as he scored his second goal as a Wolf to give the pack an early 1-0 lead just over a minute into the opening frame. The first period continued to be a busy one for the Wolves who notched another three goals in the period. Blake Murray, Ryan O’Bonsawin and David Levin gave the Wolves an impressive 4-1 lead after 20 minutes. Matt Brassard was the lone goal scorer for the IceDogs. In the second period, the IceDogs made the comeback that put them shy just by one goal. 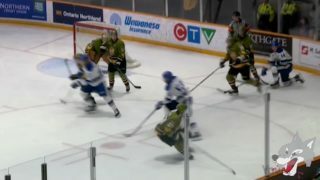 Kirill Maksimov scored from behind Ukko-Pekka Luukkonen while Akil Thomas beat Luukkonen high glove side. The Wolves led 4-3 after forty minutes with shots on goal tied at 22 a piece. With a tight game closing in, the battle got more physical with a few pushing matches that broke out between the two squads. The Wolves continued their hard play going into the third period where they tallied another three goals. 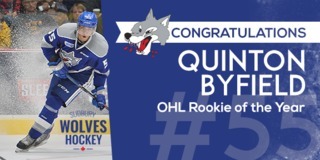 The IceDogs pushed hard in the final frame but could not keep up with Quinton Byfield, Liam Ross and Shane Bulitka who all made it impossible for the IceDogs to catch their lead after they each took home a goal to ensure the win and a 7-3 final. The Wolves will return to home ice for a rare Wednesday night matchup against the North Bay Battalion at 7:05pm. The Wolves are looking for revenge as the Battalion took home the win in their last matchup between the two squads on New Year’s Eve. Great seats are still available at greatersudbury.ca/tickets.